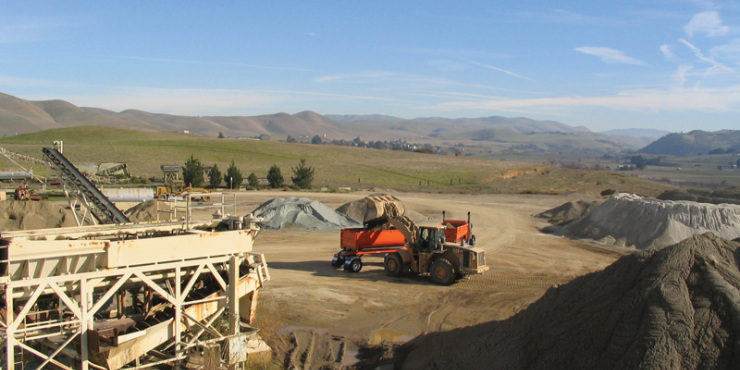 Graniterock's Southside Sand and Gravel team was recognized by the California Construction and Industrial Materials Association (CalCIMA) for outstanding safety practices. Southside received the Excellence in Safety Award for small aggregate mines and plants. Gary Andrade, Southside's plant operator and mechanic, received the Outstanding Safety Leadership Award. The 2014 safety and member recognition awards were presented at the CalCIMA education conference in San Diego. "These awards honor companies, plants and individuals for initiatives to make the workplace safer and improve the industry," said CalCIMA President and CEO Gary Hambly.